The industry standard to protect new marine piles is to wrap them with a thin black plastic wrap and nail it on. In theory, this would cut off the flow of water into the pole, which would keep all marine organisms from ever having a chance to attack the timber. If done properly, this black wrap can buy you a few extra years. The issue is, it is rarely done right and even when it is, it still has weak points. Over the years, marine growth begins to build up. When barnacles begin to grow under the seam of the overlapping wrap, or by the nail holes, the thin plastic rips and separates from the pile. Once that occurs water is able to flow freely to the piling, leaving it vulnerable to environmental attack. The only way to ensure your piling is protected is to be sure there is no weak point that could fail. In order to achieve this, the coating on the pile would have to be completely seamless. The Durosleeve is a dock piling sleeve made of PVC that works the same as shrink tubing for electrical components. After the PVC pile sleeve is slid onto a timber pile, it is then heat-treated and shrunk onto the wooden pile. The shrinking process provides an air tight seal that is totally seamless. 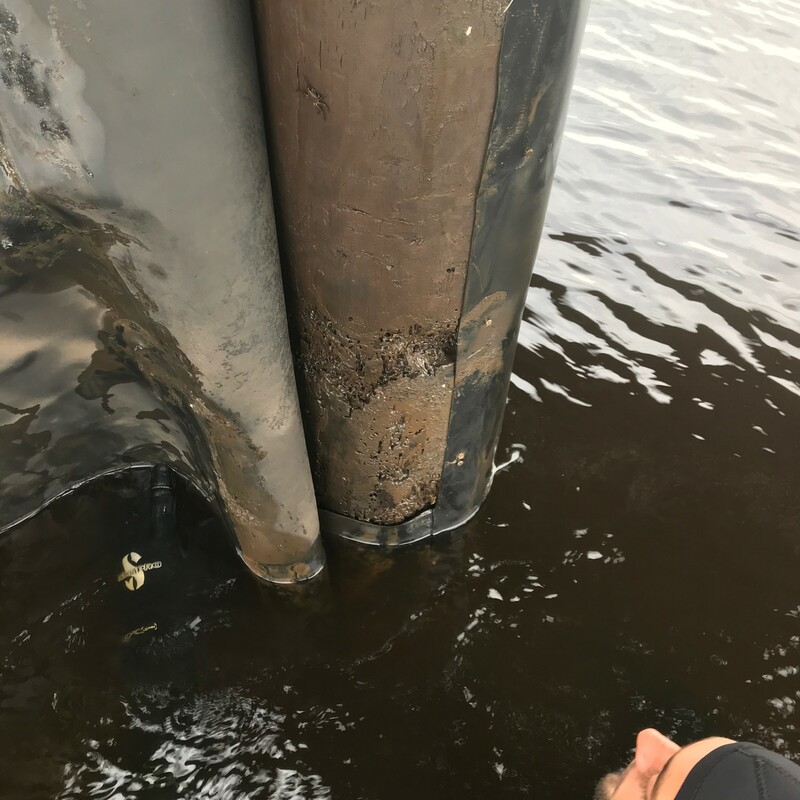 Not only is the barrier created by this dock piling sleeve seamless, but it is also significantly thicker than the competition, ensuring your piling is protected from the harsh marine environment. Year in and year out the preservatives that make the wood last longer will be held tightly inside the wood, ensuring that the timber stays fresh. This is how we are able to provide a 25-year warranty, something none of the competition is able to offer. This photo shows a classic case of the thin black wrap failing, which then allowed water to reach the pile. It is rare that a new piling will last you more than a decade with current chemical treatment restrictions. The Durosleeve is a rugged PVC pile sleeve that is heat shrunk onto marine pilings before they are installed. The sleeve is not a "wrap.” It is seamless, water tight and totally encapsulates the piling where it is most vulnerable to attack by marine organisms, UV damage and abrasive wear and tear. 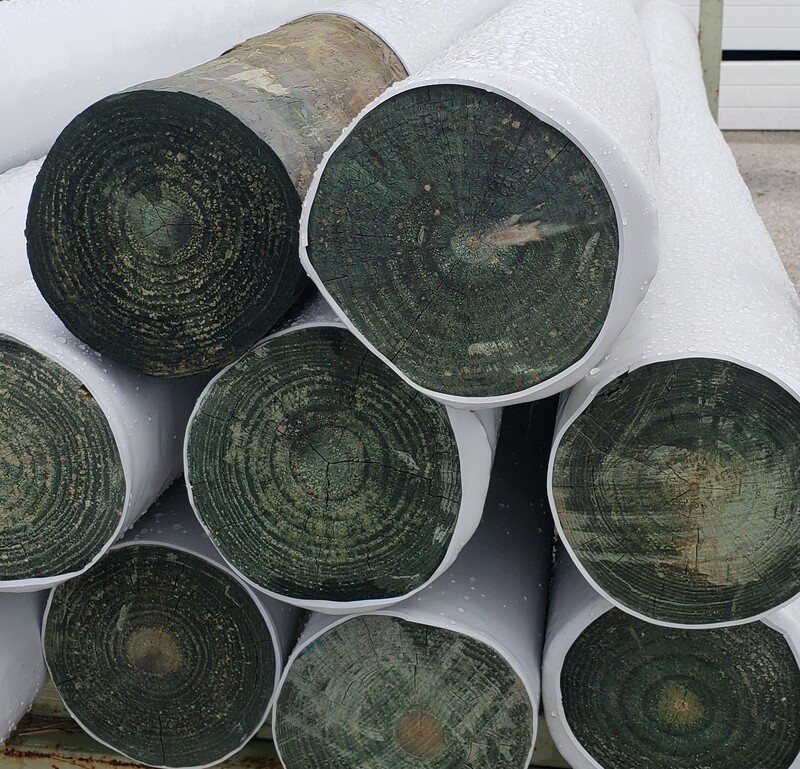 The Durosleeve traps the wood preservative chemicals within the piling, prolonging the life of the pile and keeping chemicals out of our waterways. 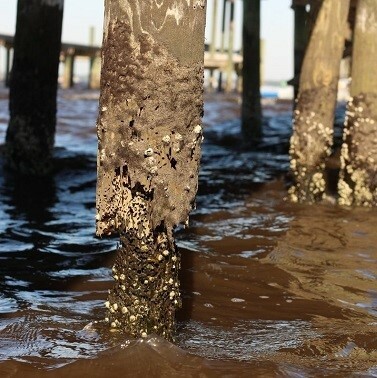 The chemical treatments in marine pilings dissipate over time leaving the pilings vulnerable to attack from marine organisms. The Durosleeve encapsulates the piling keeping the preservative treatment permanently in place and preventing it from entering the waterways. The Durosleeve out of 100% virgin UV resistant material, which is recyclable at the end of its life. A waterfront dock is a big investment for homeowners and marina owners alike. 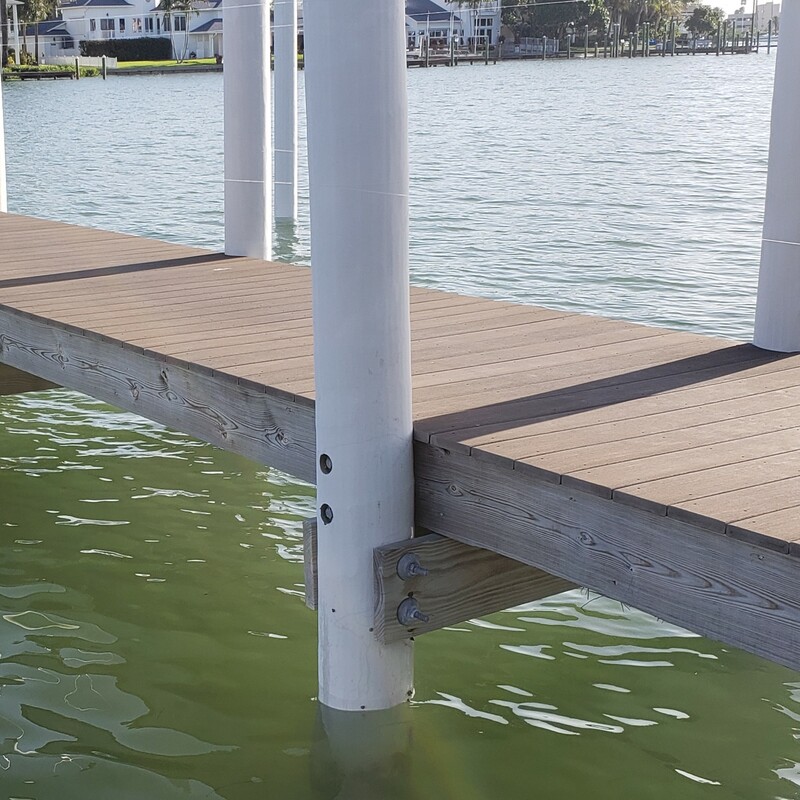 The dock pilings are the foundation of that investment. All treated wood pilings are vulnerable to destruction by waterborne marine organisms if not protected. The piling degradation begins the moment of installation. Attempts to slow the degradation process with a nailed on black plastic wrap is only a short-term solution. The only way to totally stop the destruction of the pilings is total exclusion of water and oxygen with a PVC pile sleeve. The Durosleeve completely seals the wood, preventing any possibility of damage by wood boring or other marine organisms.